Home » Entertainment » Gotta love Photoshop! 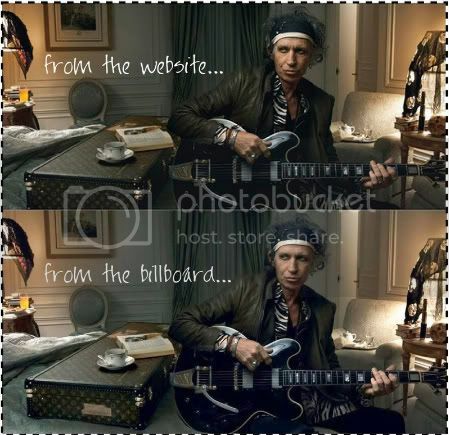 Not that it matters, but I was just noticing the difference between the Annie Lebovitz/ Keith Richards spot for Louis Vuitton- on the website… and the one they put up on the billboards and in magazines. Don’t know why they cleaned up the guitar case- but gotta love photoshop!